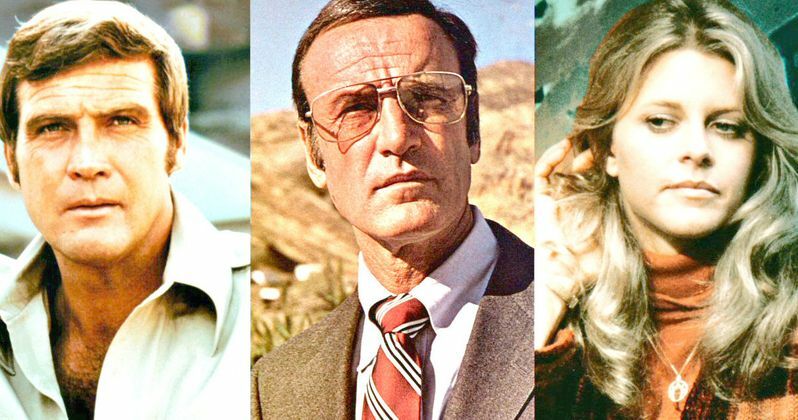 Richard Anderson, best known as the star of The Six Million Dollar Man and the spin-off The Bionic Woman, has passed away at the age of 91. The actor died of natural causes on Thursday. He is survived by his three daughters, Ashley Anderson, Brooke Anderson and Deva Anderson. As reported by the New York Daily News, the news of Richard Anderson's death was confirmed by family spokesperson Jonathan Taylor. Anderson was best known for his work as Oscar Goldman on The Six Million Dollar Man, which started as a TV movie then became a regular series in 1974. He played the boss to Lee Majors' Steve Austin, who was the star of the hit series, which centered on Austin having to be rebuilt after an accident with atom-powered artificial body parts that made him stronger, faster and essentially turned him into a superhero. Majors had this to say about the late actor's passing in a statement. "Richard became a dear and loyal friend, and I have never met a man like him. I called him 'Old Money.' His always stylish attire, his class, calmness and knowledge never faltered in his 91 years." Lee Majors added that Richard Anderson was "still the sweet charming man" just a few weeks ago when they last spoke. Anderson reprised his role as Oscar Goldman in The Bionic Woman, which served as a popular spin-off to The Six Million Dollar Man. The series kicked off in 1976 and starred Lindsay Wagner. In that series, Wagner played a tennis pro who had to also be rebuilt, similar to Steve Austin, after a near-fatal skydiving accident. Anderson would pull double duty and sometimes appear in both shows week to week. Here's what Wagner had to say about Anderson. "I can't begin to say how much I have always admired and have been grateful for the elegance and loving friendship I was blessed to have with Richard Anderson." Even though Richard Anderson was best known for his role as Oscar Goldman, he had a long and prosperous career, with nearly 200 acting credits to his name. His first role was in 1949 as a wounded soldier in 12 O'Clock High. He then moved on to a TV series called Lights, Camera, Action! that earned him a contract with MGM. That and his 6-foot-4, tall, handsome physique, which was something he was recognized for over the years. Anderson was quoted as saying that he got his acting education through his contract with MGM. "When people ask me where I received my education, I tell them it was at MGM U. The biggest lessons that I learned is that acting is a talent. You can't teach it. And even if you have the talent, you have to get the part." Richard Anderson appeared in many movies and TV shows after that, with parts in movies like Paths of Glory, Forbidden Planet, Johnny Cool and Kitten With a Whip. He also served as a frequent guest star on shows like Perry Mason and The Fugitive. His family has stated that his memorial services will be private. RIP, Richard Anderson.